Come see the students of Wakefield School perform in “Little Shop of Horrors.” The production will take place three nights in a row in the Wakefield School lower gym. Click here to purchase tickets. 2. Night at the Library at the National Sporting Library & Museum: Nov. 2 | 6-7:30 p.m.
Do you enjoy vintage photographs, private diaries, and dusty tomes? The NSLM’s library secrets will be revealed in this special program taking place in the library’s lower level. The lower level houses some of NSLM’s rarest items, held in the F. Ambrose Clark Rare Book Room and Archives Room. From 20th century memoirs to 18th century manuscripts, get an exclusive view of letters and papers from some of the most notable equestrians of yesteryear with John Connolly, NSLM’s George L. Ohrstrom, Jr. Head Librarian. What will you uncover? 3. Greenhill Winery & Vineyards’ 5-Course Harvest Dinner: Nov. 3 | 6:30 p.m.
Join Greenhill Winery in the barrel room as they celebrate the end of harvest with a five-course wine dinner! Each course will be served with a carefully selected Greenhill wine pairing — highlighting the release of their 2017 Petit Verdot. Seating is limited, so we encourage you to purchase your ticket soon to reserve your seat at the table. 4. Legends by Lanternlight: Friends, Guerrillas, and Heroes: Nov. 3 | 7:30-9:30 p.m. The Legends by Lanternlight series features interpreters in period-dress giving first-person vignettes of life and history in the Mosby Heritage Area. 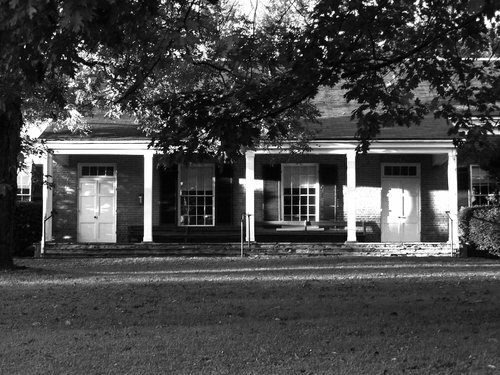 The Nov. 3 installment is titled “Friends, Guerrillas, and Heroes.” Participants will view the Civil War experience of Lincoln (formerly known as Goose Creek) and how the war affected life in this Quaker community. As always, Legends by Lanternlight will include some great storytelling, and work to raise funds for educational programming within the Heritage Area. 5. “Seussical Jr.” at The Hill School: Nov. 9 | 7-9 p.m.
Tom Sweitzer returns to The Hill School for the first time in 12 years as visiting director for this special production of “Seussical Jr.” Sweitzer, a certified music therapist and founder of the arts therapy nonprofit A Place To Be, served as head of the Hill’s Theater Department for 17 years. 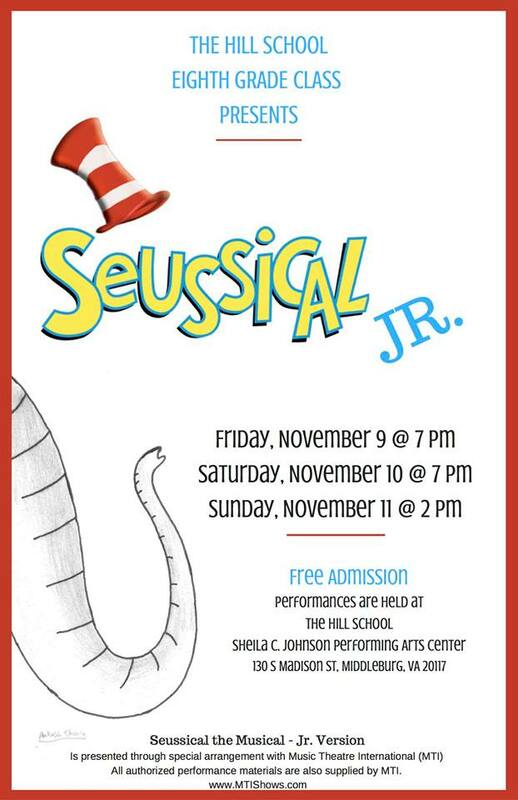 We can’t wait to see what Sweitzer and Hill’s 8th graders have in store for this family-friendly musical. You must see this show! 6. Keto Holiday Baking Class with Chef Katie at Gentle Harvest: Nov. 10 | 1-3 p.m. Living a low-carb lifestyle? You don’t have to choose between giving up your diet or giving up your favorite foods this holiday season! On Nov. 10, Chef Katie will be teaching a class on how to turn some of your favorite celebration foods into low carb, gluten-free substitutes that everyone can love. You will learn how to make pumpkin cheesecake, peppermint chocolate fat bombs, and even a loaf of bread! Chef Katie will discuss the use of different alternative sweeteners and flour substitutes so you can adapt your own favorite recipes into something you can feel good about. Class attendees will get to sample everything you make and will get to leave with recipes and a box of fat bombs. 7. 2018 Windy Hill Foundation Gala “Studio 54” at Salamander Resort & Spa: Nov. 10 | 6 p.m.
“I Love the Nightlife Baby!” Studio 54 will once again be the place to be! Get ready to take a step back, dress the part, and dance the night away to such Studio 54 classic artists as The Pointer Sisters, Bee Gees, and The Village People! We look forward to seeing you and appreciate your support of Windy Hill Foundation and the many local residents! 8. Thanksgiving Dinner at the Middleburg Community Center: Nov. 15 | 6-8 p.m. 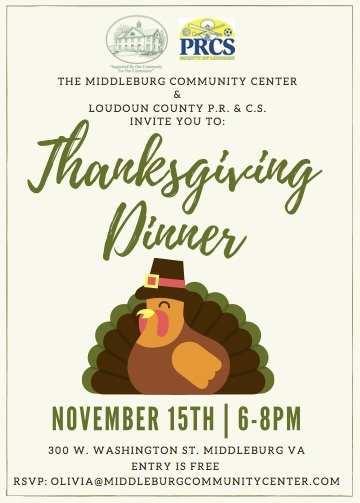 The Middleburg Community Center and Loudoun County Parks and Recreation partner to bring you Thanksgiving dinner! This event is free and open to the public. Please RSVP by Nov. 4 to 540-687-6373 or olivia@middleburgcommunitycenter.com. 9. Perfect Pairing at 50 West: Nov. 17-18 | 11 a.m.-6:30 p.m.
Like the wine pairing? They’ll be selling their Turkey Trio 3-packs all weekend so you can serve them with your Thanksgiving dinner! 10. Being Thankful Yoga Workshop at Salamander Resort & Spa: Nov. 17 | 11 a.m.
Get in the Thanksgiving mood with this all-levels yoga workshop. 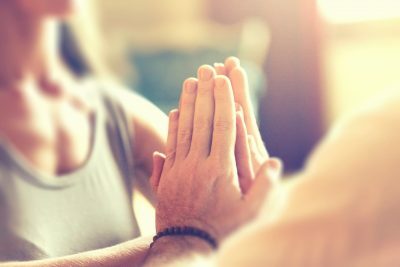 This workshop will incorporate breath work and meditation to learn how to stay in the present moment in order to find gratitude on the yoga mat and in our daily lives. 11. 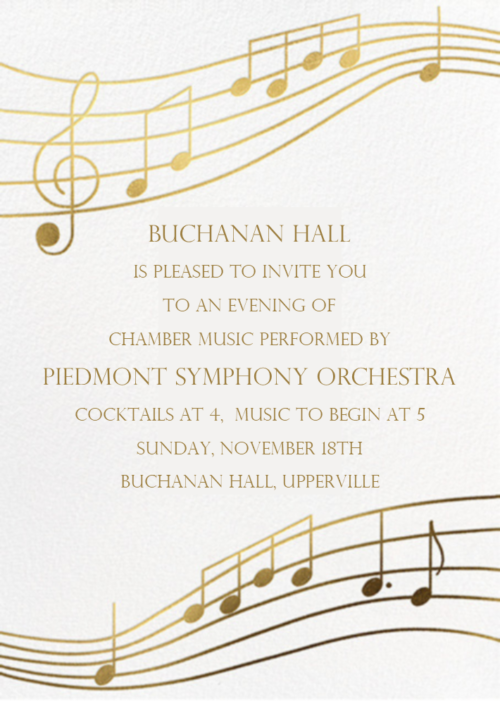 Piedmont Symphony Orchestra at Buchanan Hall: Nov. 18 | 4 p.m.
Buchanan Hall is pleased to invite you to an evening of chamber music performed by Piedmont Symphony Orchestra! Cocktails at 4 p.m. and music to begin at 5 p.m.
12. 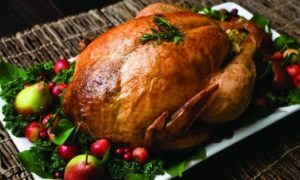 Thanksgiving Family Style Feast at Salamander Resort & Spa: Nov. 22 | 3-7:30 p.m.
Join Salamander for a Thanksgiving feast perfect for the entire family! 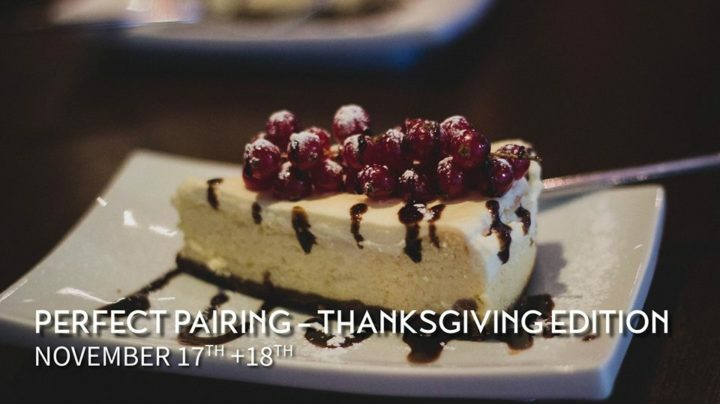 Their traditional dinner is served for sharing with multiple choices including smoked prime rib, roasted turkey, house made stuffing, yams from our garden and signature desserts from Executive Pastry Chef Jason Reaves. Children’s Thanksgiving menu also available. Prospective Information Session for JK and Kindergarten Parents at The Hill School: Nov. 1 | 7-8:30 p.m. Raid the Cellar at Salamander Resort & Spa: Nov. 3 | 2-4 p.m.
Carriage Rides with Doc & Molly at Greenhill Winery & Vineyards: Nov. 4 | 2-5 p.m.
Sunday Sketch at the National Sporting Library & Museum: Nov. 4 | 2-4 p.m. Paint Nite at Three Fox Vineyards: Nov. 4 | 2-4 p.m. Admissions Open House at Wakefield School: Nov. 7 | 9-11 a.m.
Gallery Talks at the National Sporting Library & Museum: Wednesdays | 2-2:30 p.m. In the Wake of Antietam Bus Tour: Nov. 10 | 9 a.m.-3 p.m.
American Roots Revival at Buchanan Hall: Nov. 11 | 5-7 p.m.
6-Course White Truffle Dinner at Girasole Ristorante: Nov. 11 | 6 p.m.
Armistice Day One Hundred Years Later at the Loudoun County Courthouse: Nov. 11 | 10:30 a.m.-12:30 p.m.
Fox/Hound Field Hockey: Nov. 17 | 9 a.m.-3 p.m.
5K Turkey Trot at Salamander Resort & Spa: Nov. 22 | 8:30 a.m.
Coffee with the Curator at the National Sporting Library & Museum: Nov. 24 | 10-11:30 a.m.
Thanksgiving Leftovers Cooking Class at Salamander Resort & Spa: Nov. 24 | 2-4 p.m.